F/A-18 Hornets returning to their home on USS Nimitz (CVN-68) after a long sortie. "USS Nimitz (CVN-68) is a supercarrier of the United States Navy, and the lead ship of her class. 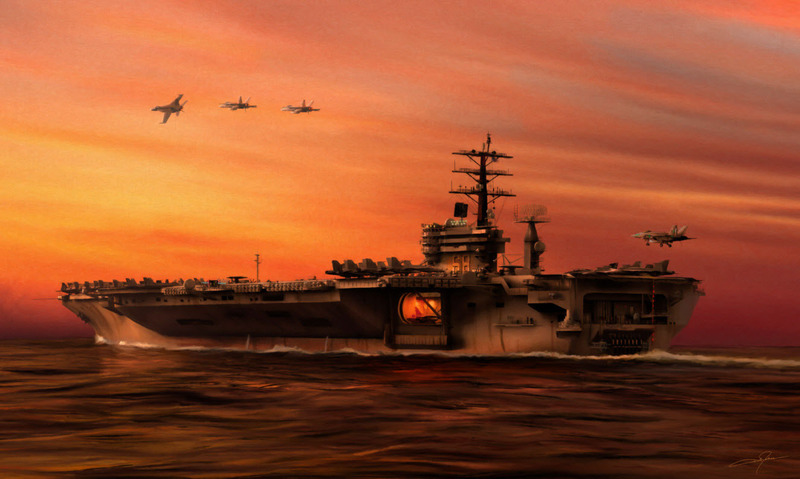 One of the largest warships in the world, USS Nimitz was commissioned on 30 June 1975."